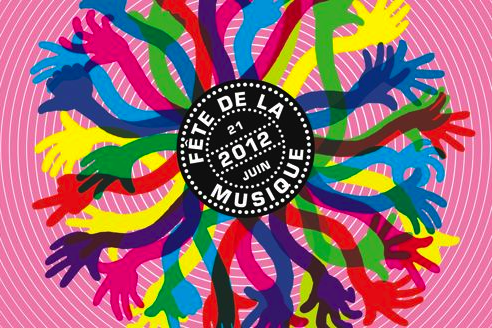 Today is the famous Fête de la musique ! even if the sun is not planning to join, a few things are happening ! In 1962, exactly 50 years ago, 4 boys from Liverpool edited they first 45 rpm vinyle record with the song "Love me do" a new era is born : pop music. We are not just celebrating music then but the 50 years anniversary of pop music ATTENTION ! For the lucky ones that got tickets/invitations for the HP Electro Cruise, your night is all good.. Benoit & Sergio, Dan Ghenacia and Dyed Sundorom, on a cruise.. You can still get some tickets on the HP Facebook page or on Radio Nova . Depart from Pont de Grenelle for the adventurous ones that want to try to get on board ! A good friend of mine and his label Diez Music are organising a special event for this day for the lovers of hip-hop AND electronic music and this might be reaaaally good ! Check out the facebook (open) event here for the line up and more details ! Tiss Rodriguez (drums), Mali Zivkovic (trumpet), Clément Simon (piano), Guillaume Latil (cello), Anthony Jambon (guitar), Jérôme Arrighi (bass). In the 17th : At La Compagnie, a french Costes restaurant with a big terrasse is throwing a special Fête de la musique electro event, check out the details and facebook event here ! The best you can do is just walk around and enjoy Paris and its lively streets full of surprises ! You can also ask for the program and organise a special music route ! I strongly recommend Le Figaro program to schedule that ! For my part, I'll be first celebrating on a roof top hosted by PIIAF (more details to come about it tonight!) for a verry private show and only the 2nd of our dear friend Marco Kamaras to follow carefully !Woop Woop ! Second part of my night is still not defined but musical for sure ! Have a great and happy Fête de la musique my friends ! If you have any tips/ interesting places/ advices, I'm all ears ! And here's a musical goodbye ! Got my Jimmy Fairly !